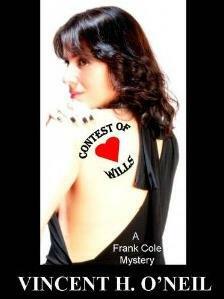 In the fourth Frank Cole book, Frank takes a job as the assistant in-house investigator for a Tallahassee law firm. One of the firm's oldest clients has just died under mysterious circumstances, and his will is missing. Before long, it's a real contest of wills in sunny Florida.